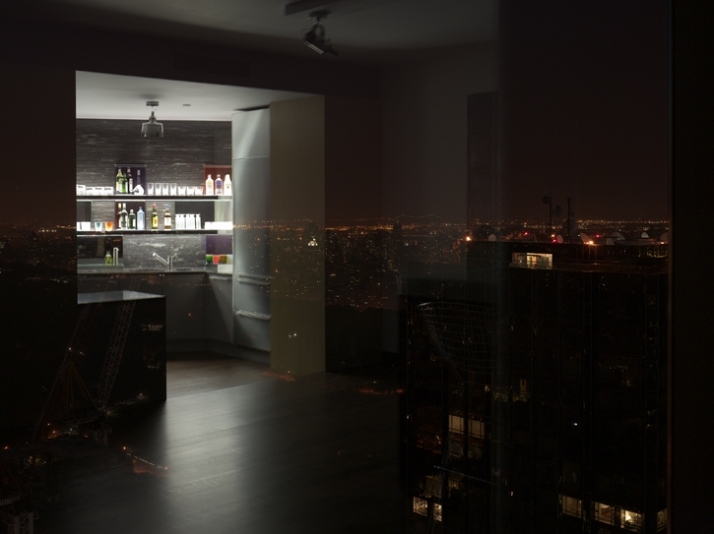 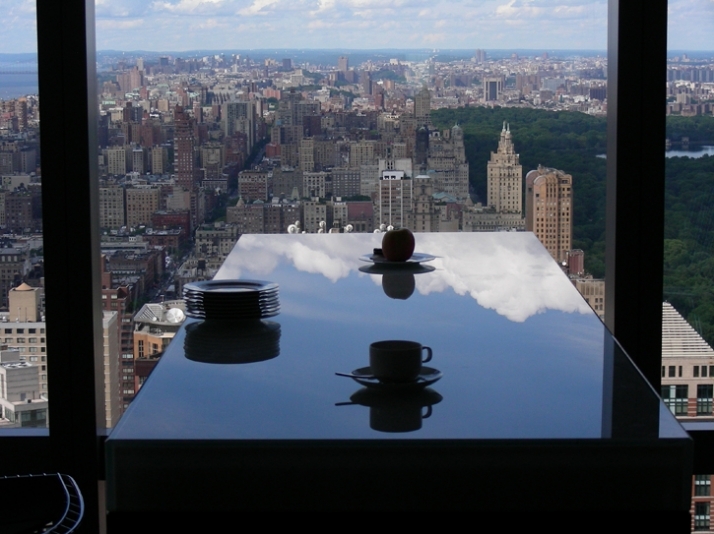 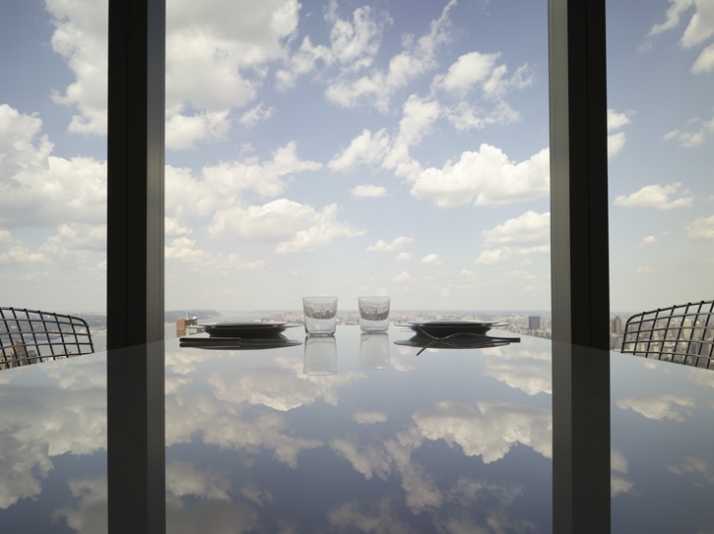 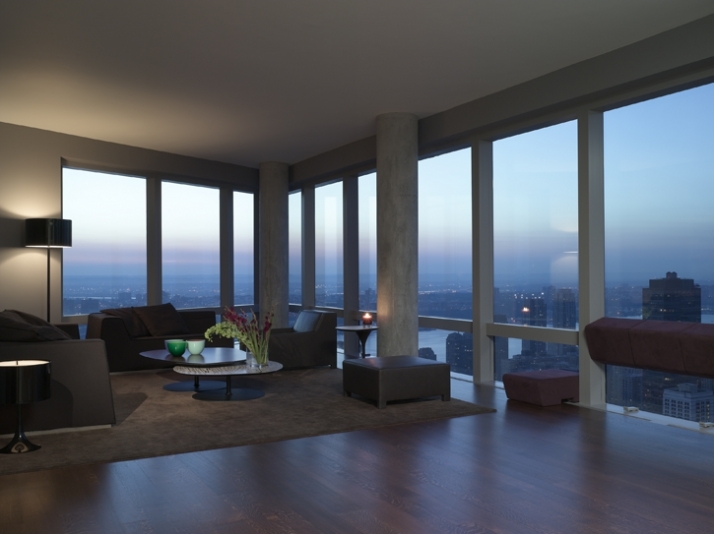 Located on the 73rd floor of a Manhattan building, the apartment is a pied-a-terre overlooking Central Park. 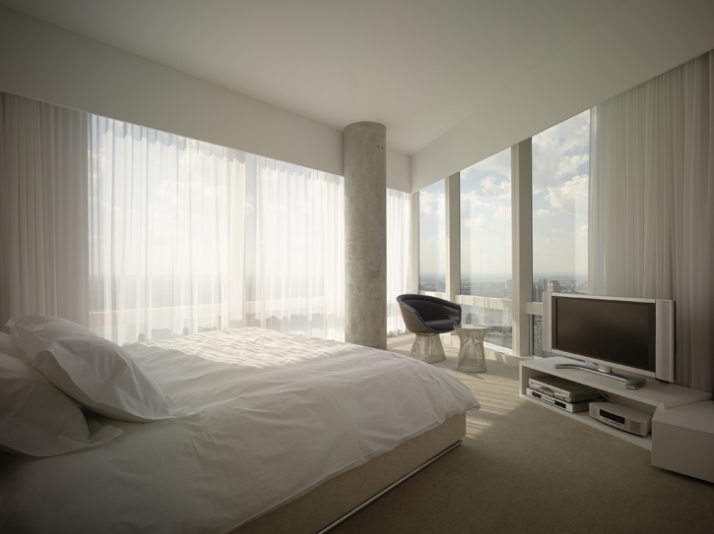 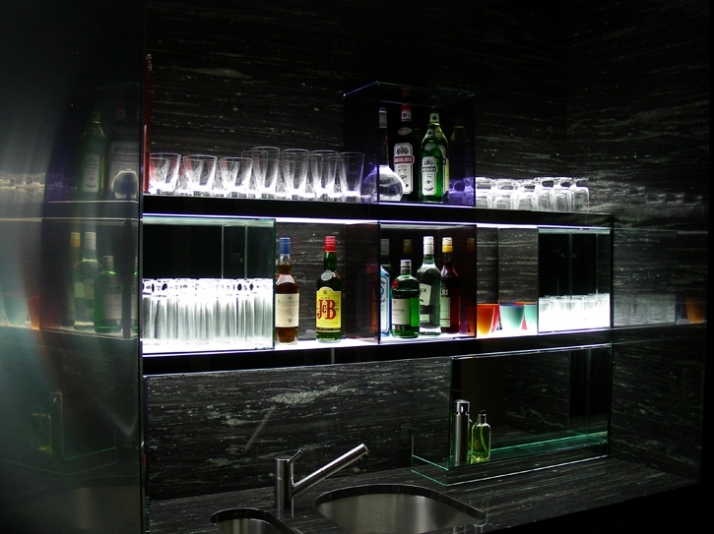 The interior design is primarily structured by different relations to the view and the urban landscape. 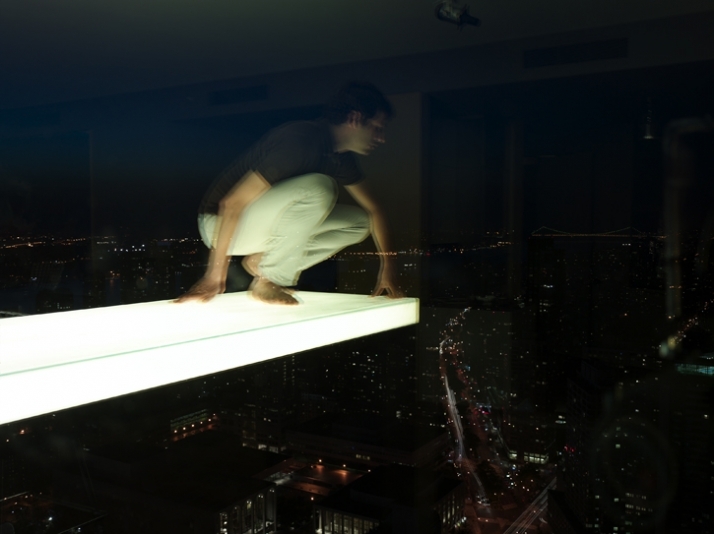 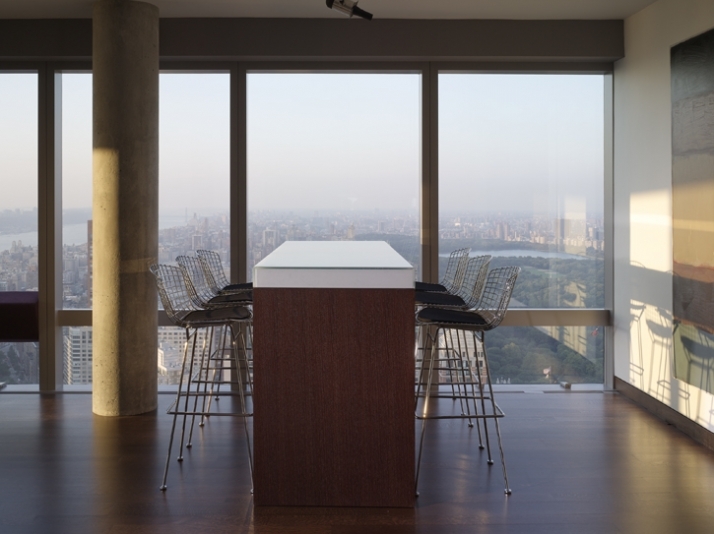 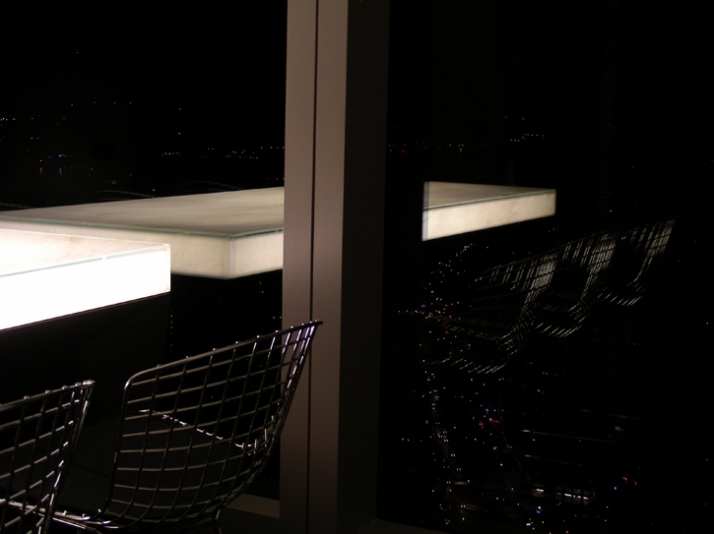 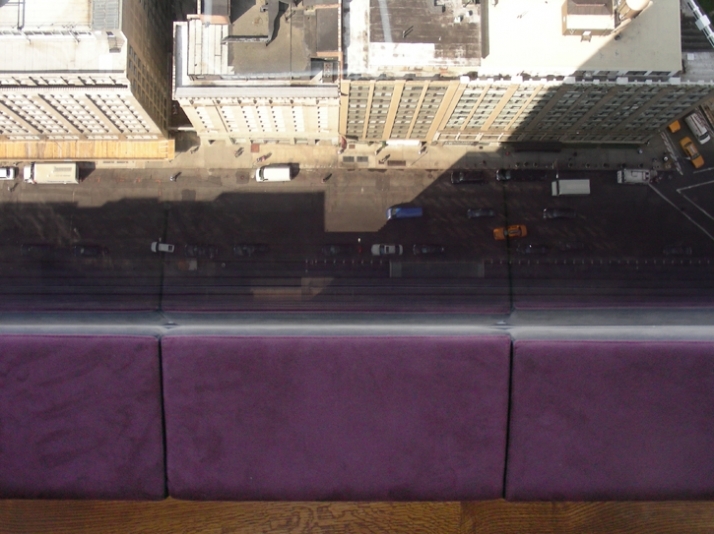 Elevated floors and furniture emphasize the spectacular vue.Made to measure furniture elements can be moved around on the window frames and allow to sit right against the floor to ceiling windows and experiment the thrill of altitude. 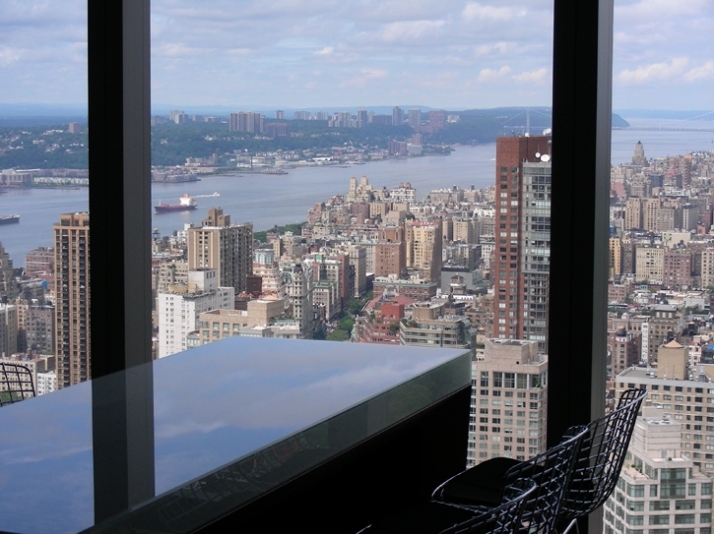 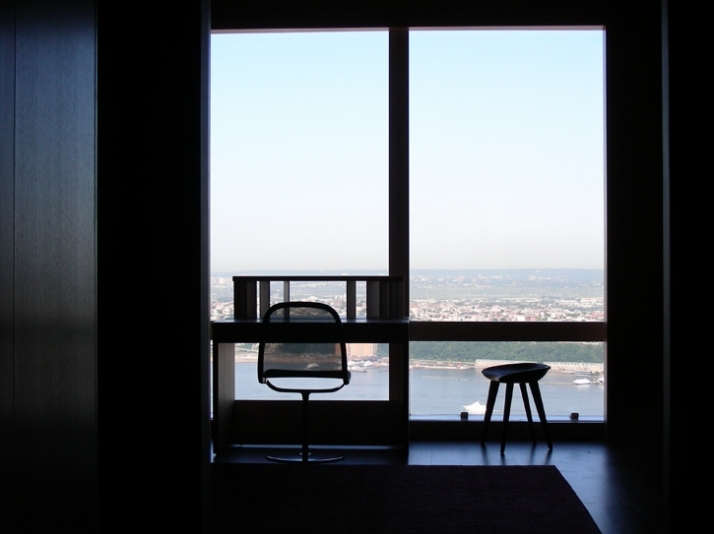 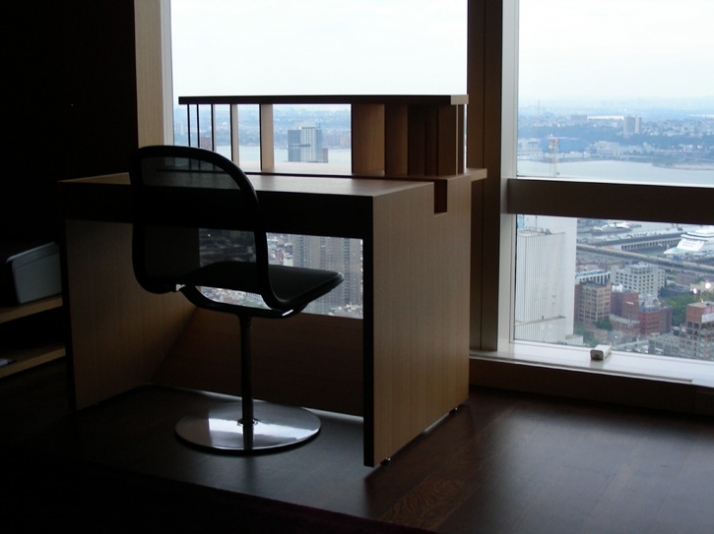 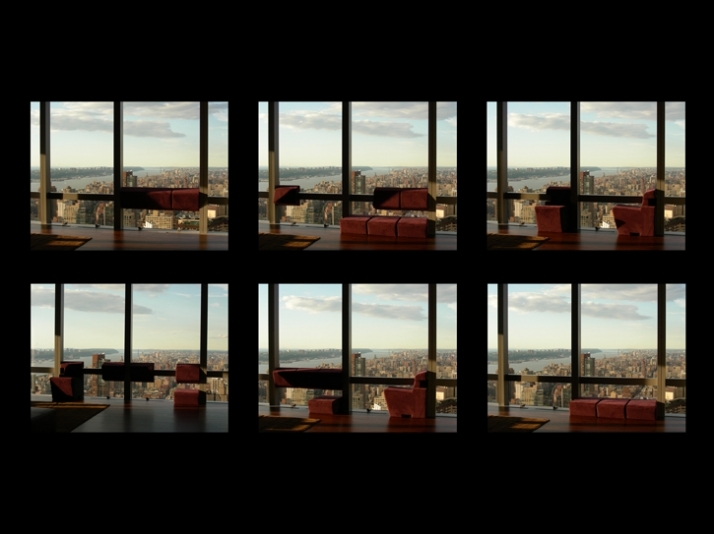 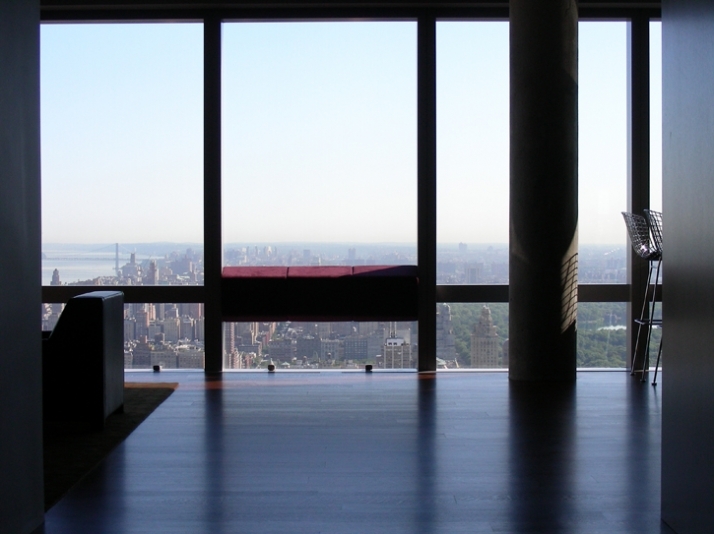 In the Study, the desk frames the vue over the Hudson River.